Freeing you up for the important and revealing the castle in your home. That is what we do. You may have heard that "a woman's house is her castle". You may have heard the same for "men". In either case we aim to help you showcase your home's highlights; its appeal; its warmth. To free you up to create the precious memories and not be burdened with all the care needed to do so. We have affectionately earned the badge of "the housewife's housewife", and we believe that speaks for itself! Whether your personal residence, cottage, condominium, apartment, vacation home, rental property or Airbnb need cleaning, we are here to make your home shine. From weekly to monthly service, and from one time cleanings to spring cleaning we have you covered. We specialize in Chemical Free cleaning. Using state of the art microfiber and cleaning agents that will not harm your family or pets. If your current cleaning agents have labels that read "Harmful if swallowed"...it should probably not be in your home. 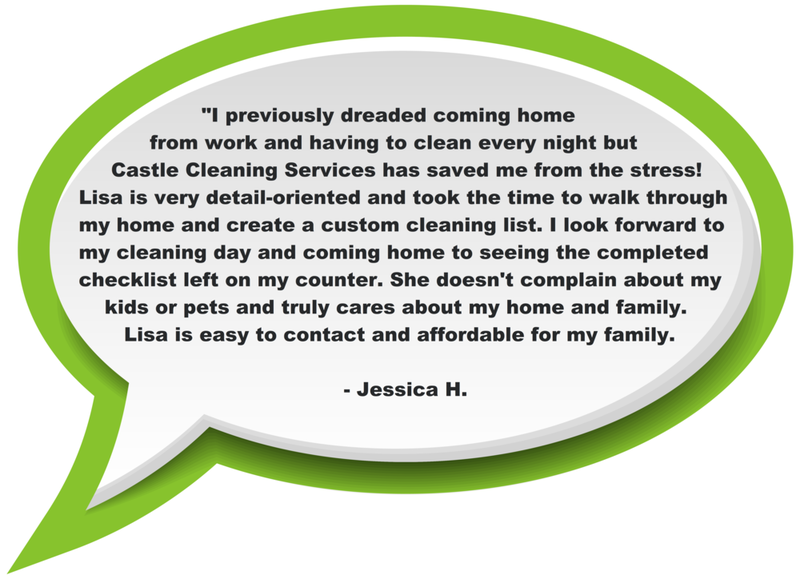 "Revealing the castle in your home...hassle-free, worry-free, chemical free"... that's how we do it! We are honored to be recognized as the leading elite cleaning company in West Michigan. We take great pride in helping you shine without all the headache. Thank you for your recognition. We are greatly humbled by your kind words. Grand Rapids, East Grand Rapids, Forest Hills, Ada, Rockford, Belmont, Comstock Park, Kentwood, Cedar Springs, Sparta, Wyoming, Grandville, and Walker. If you don't see your city listed, don't worry. Simply fill out a contact request [Click Here], email or call us and we will make all attempts to accommodate your request.